Santa Rosa County 399 pentagon posted along U.S. 98 east approaching the Navarre Beach Causeway. It is unclear if this route is still State Road 399, or a County Road. 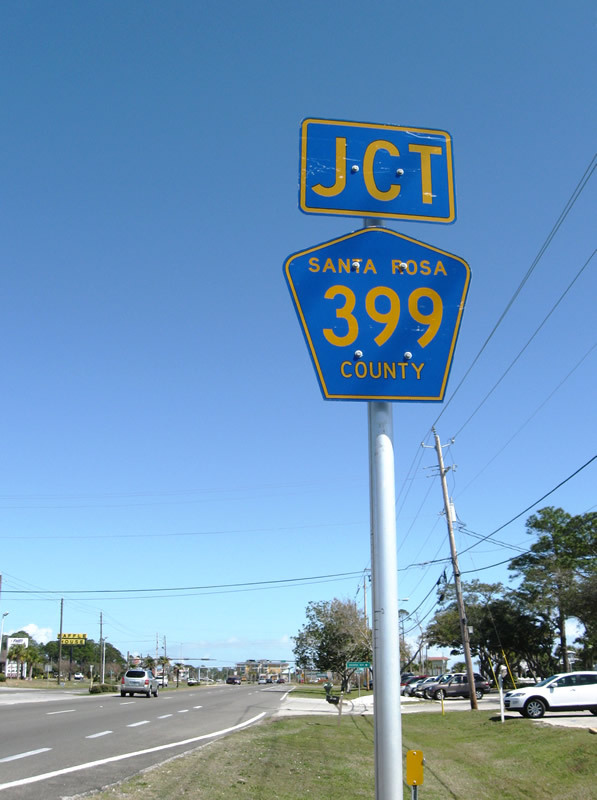 Either way, this is the only reference of the bridge as "399".